Have you got any vacation plans for the coming winter season? For those who enjoy chasing the sun, booking for a cruise trip in the warmer regions is on top of the list. However, going onboard a cruise ship is a luxury not everyone can afford. Fortunately, there are yacht charters that offer the same perks — and maybe even more — at a fraction of the cost that you will have to pay for a cruise ship’s cabin ticket. The fact that a boat as luxurious as a yacht can cruise the coasts of the Caribbean seas and Indian ocean should be enough to convince you to go on sailing adventures with your favorite travel buddies without having to break the bank. Caribbean – No bucket list is complete without a trip to the great Caribbean islands. With their azure waters, pristine white sands and diverse marine life, the islands are the place to be for those who want to free their minds of all cares as well as those who prefer to commune with nature. The cruise typically starts at St. Vincent and the Grenadines, and concludes at the British Virgin Islands. You can enjoy scuba diving, snorkeling and swimming in the warm waters under the stars as the chartered yacht drops anchor in these strategic places. Not to be ignored are the side trips to several tourists’ hotspots such as Sta. Lucia and Barbados. From the onset of the winter season until the next few months of the following year, this escape to the Caribbean is a great alternative to the cold weather back home. Kenyan Coast, Africa – Upon landing at the Manda Airport, you will be escorted by the captain to the waiting chartered catamaran, which will take you to the exclusive waters and channels of the exotic region. Here, you can visit the native villages of the Swahilis and do water activities off the coast. You can feast your eyes on the idyllic beaches and sip cocktails while you do so. Mauritius – Sailing adventures around this quaint island nation are priceless, what with its rich history and hidden marine gems. Typically starting at Merville Bay, the itinerary will allow you to swim among the brightly colored fishes at the first anchorage. It offers a variety of excursions that suit both history buffs and adventure travelers. One option is to visit the Pamplemousses Garden and the I’Adventure du Sucre; the latter being a home to the early beginnings of sugar cane farming in Mauritius. Another place of interest is the Ilot Gabriel where you can dip into the lagoon, either to take a leisurely swim or snorkel to get a spectacular view of the underwater environs. Sailing to a new spot at the Grand Bay will also allow you to go kayaking after a sumptuous lunch at Mon Choisy. You can also visit a plantation house in Domaine Labourdonnais on foot or get a glimpse of the local ship making at the Historic Marine. 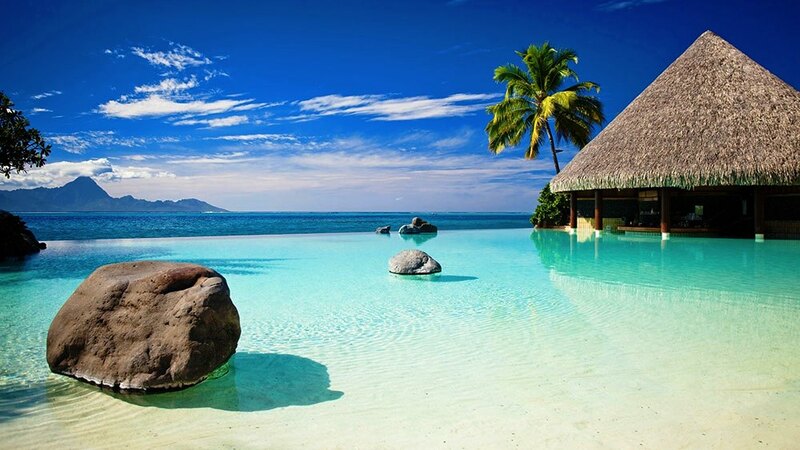 Seychelles – This archipelago is composed of 115 islets that are scattered on the blue waters of the Indian Ocean. The cruise will typically cover the Inner Island group of Mahe and Praslin that are both granite islands surrounded by crystal-clear water, featuring unspoiled coral reefs underneath. Most sailing adventures at Seychelles such as those offered by Intersailclub.com will take you to the former French settlement in Praslin to discover why it was a favorite spot among pirates.